With the Z07 Performance Pack, the new 2015 Corvette Z06 is a magnificent car. If you are still in need to see the car and its beauty, than this Z06 footage will make you want it and drizzle over it. With a slightly adjusted exterior and supercharged engine beneath, the 2015 Corvette Z06 is a monstrous supercar that will leave you speechless. 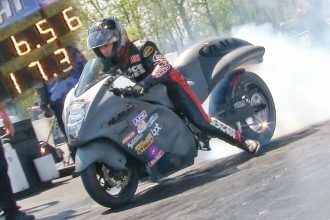 FASTEST No Bar Bike Running A 6.56 @ 217 MPH!!! !